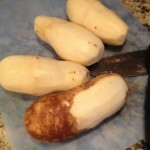 When my friend Jen gifted me a bunch of fresh produce recently, I got busy in the kitchen creating a variety of dishes so that nothing went to waste! 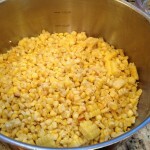 Among the goodies of green beans and other farm fresh veggies she shared, there was a brown paper bag filled half full with small tender ears of sweet corn. 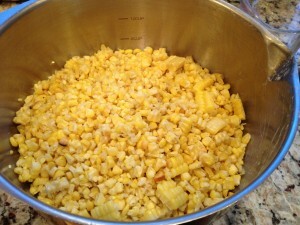 Since we’ve had a lot of chilled corn salads this summer, I thought I would prepare corn chowder instead. 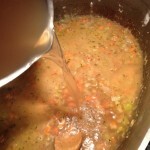 I figured I could freeze some if we didn’t finish it. Corn chowder is a type of thick cream-based soup or chowder similar to New England clam chowder, prepared with corn as a substitute for clams in the recipe. 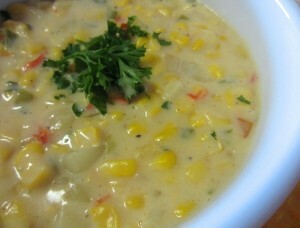 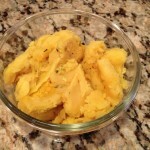 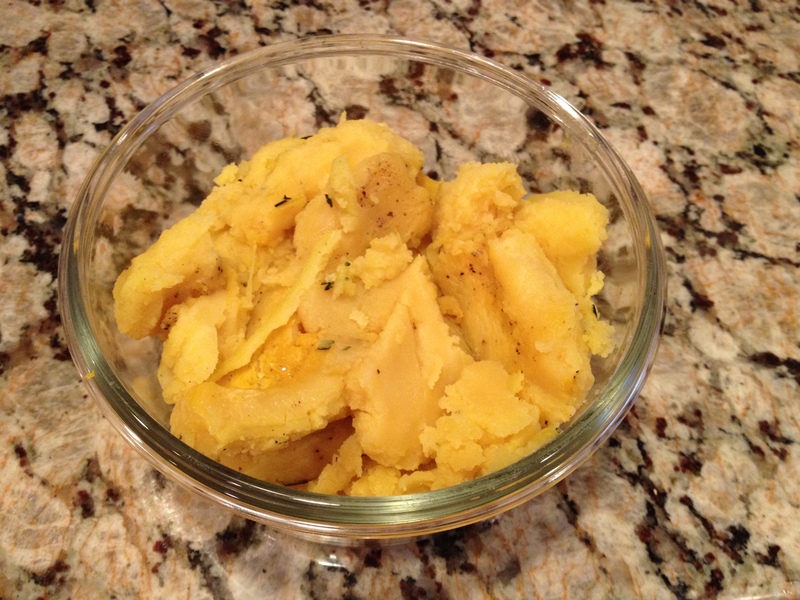 In addition to corn, the soup often contains other vegetables, such as potatoes. 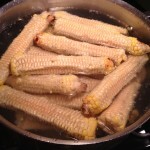 Prepare the corn by grilling it. Cut the roasted kernels off of the cobs and set aside. 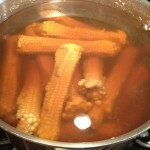 Reserve the cobs to make homemade corn stock. 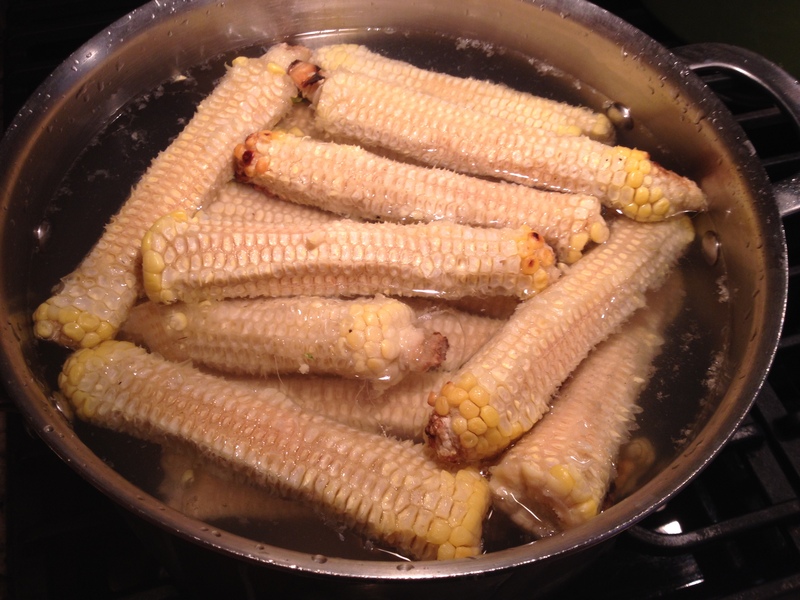 Drain through a large strainer, reserving stock and discard cobs and set stock aside. 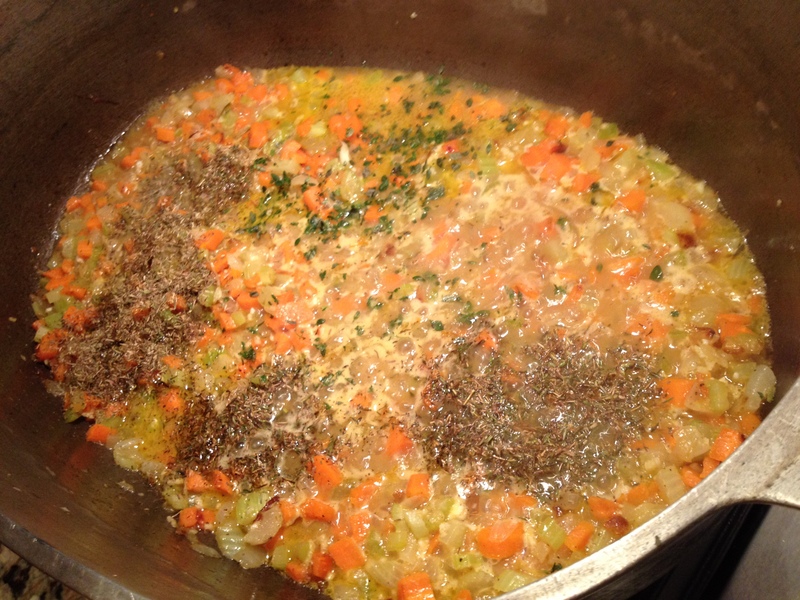 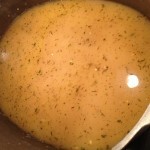 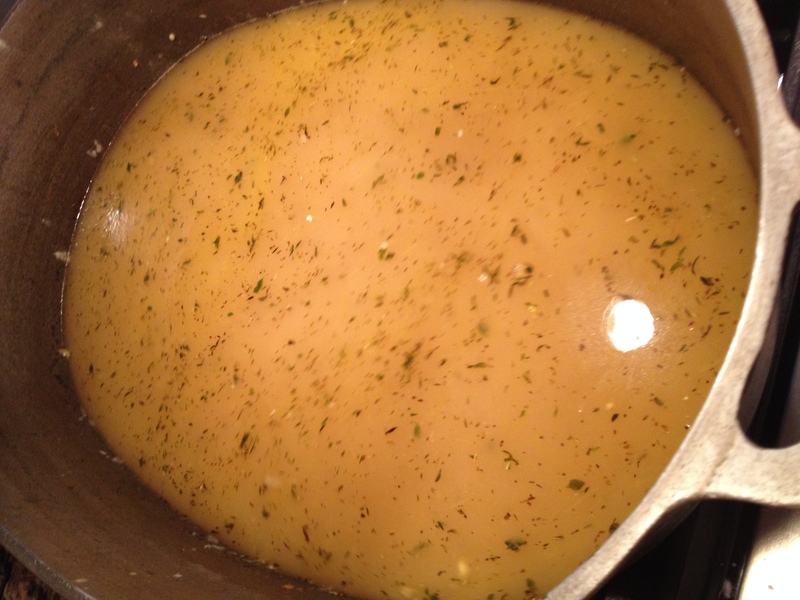 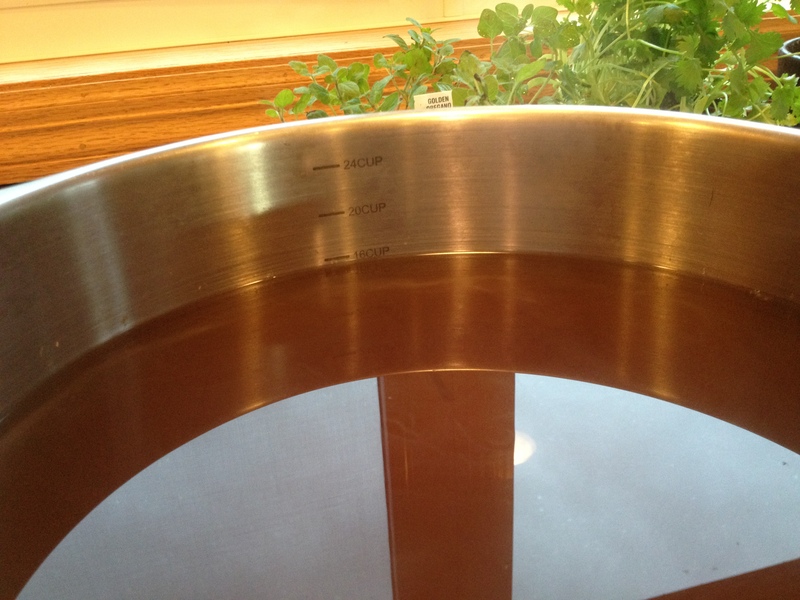 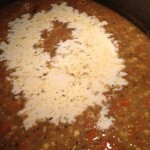 Heat the butter and one tablespoon olive oil in a soup pot over medium heat. 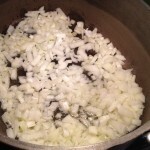 Add the onion and cook until they start to become translucent and soft; about eight to ten minutes. 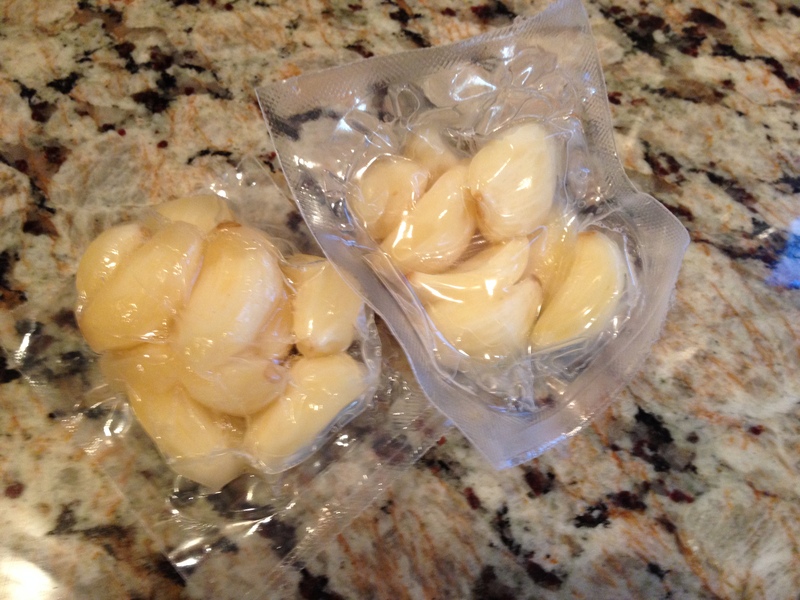 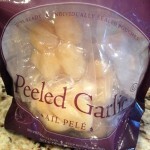 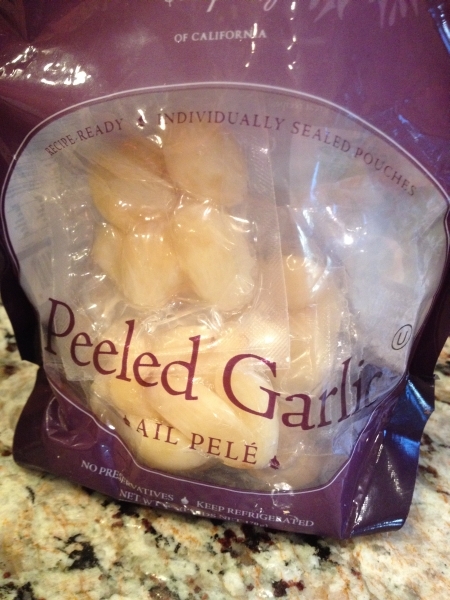 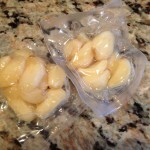 Among the goods Jen gave to me, was a large package of peeled packaged garlic cloves. 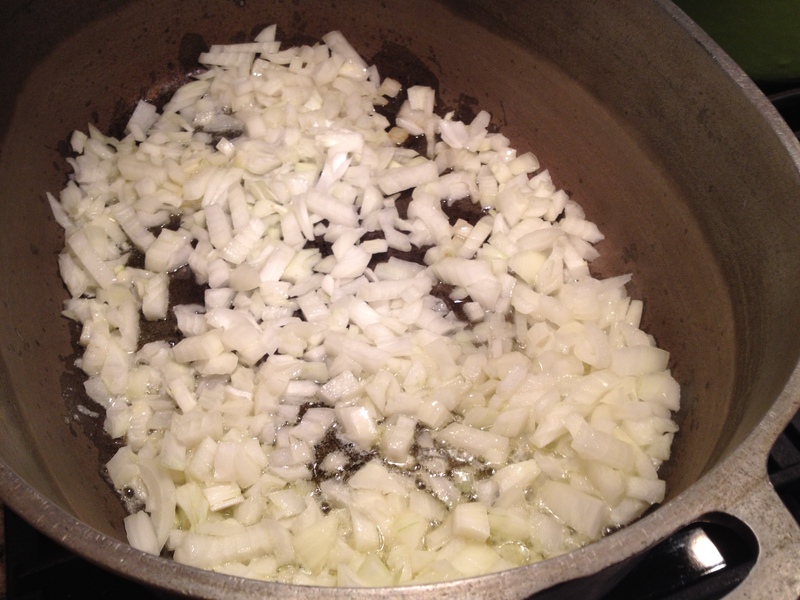 Using a press, add about 12 large cloves into the cooked onions and saute for at least one minute. 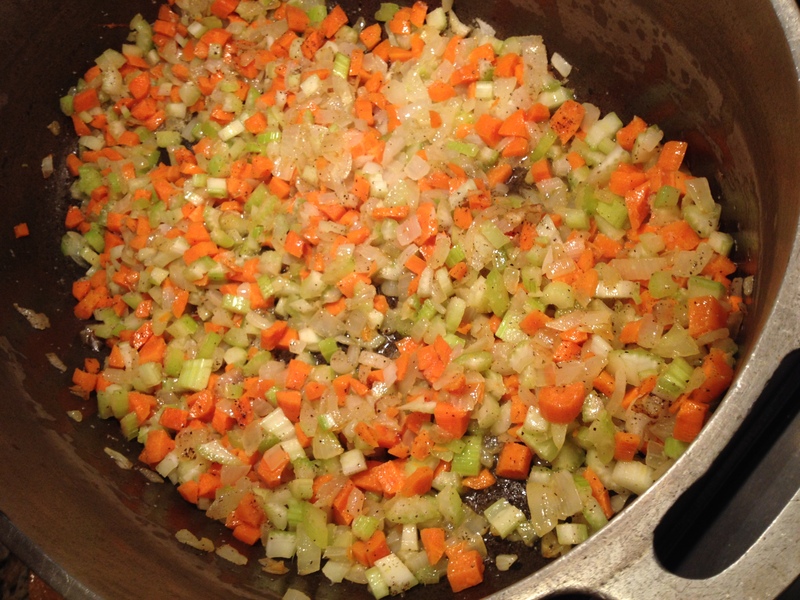 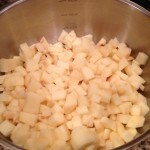 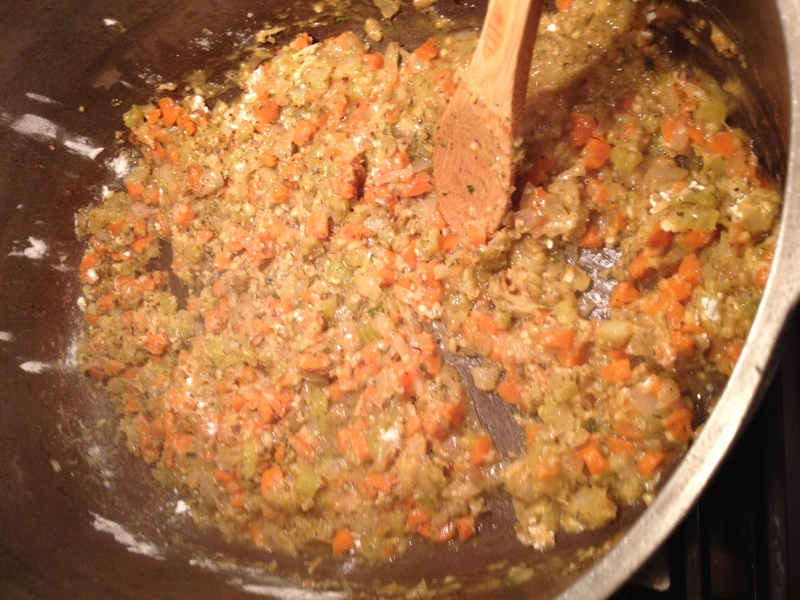 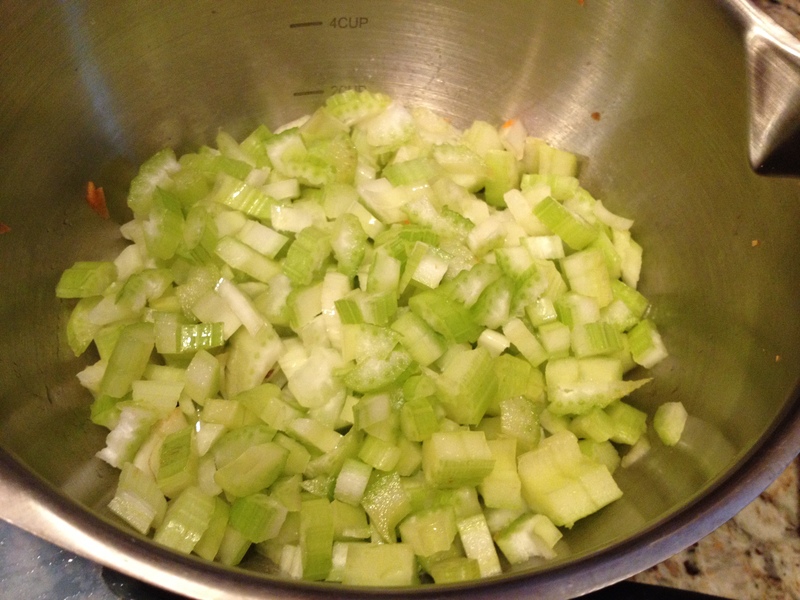 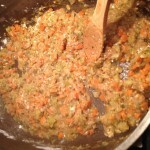 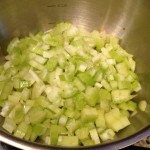 Add the Celery and onions and cook for an additional eight to ten minutes until they start to become soft. 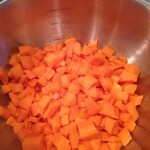 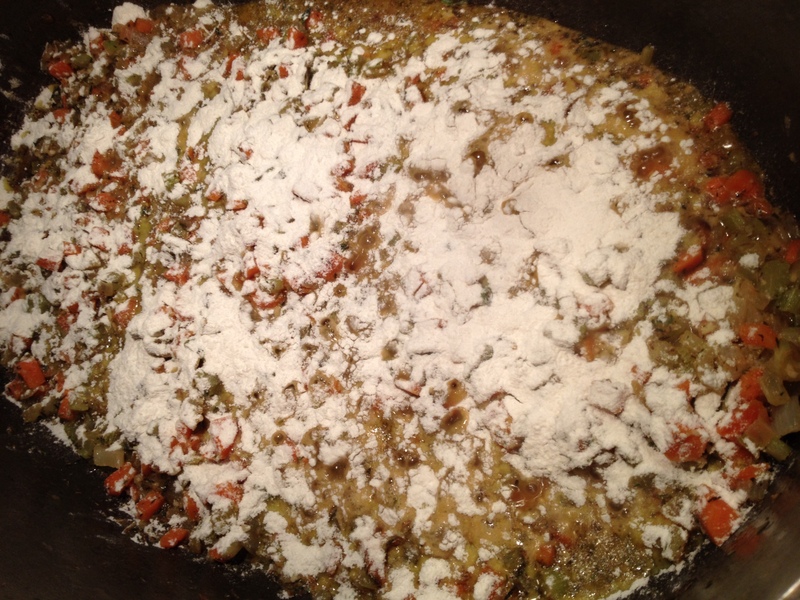 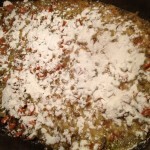 Dust the vegetables with flour and stir to coat everything well. 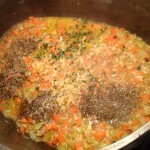 Add the herbs, stirring and cook for an additional five minutes. 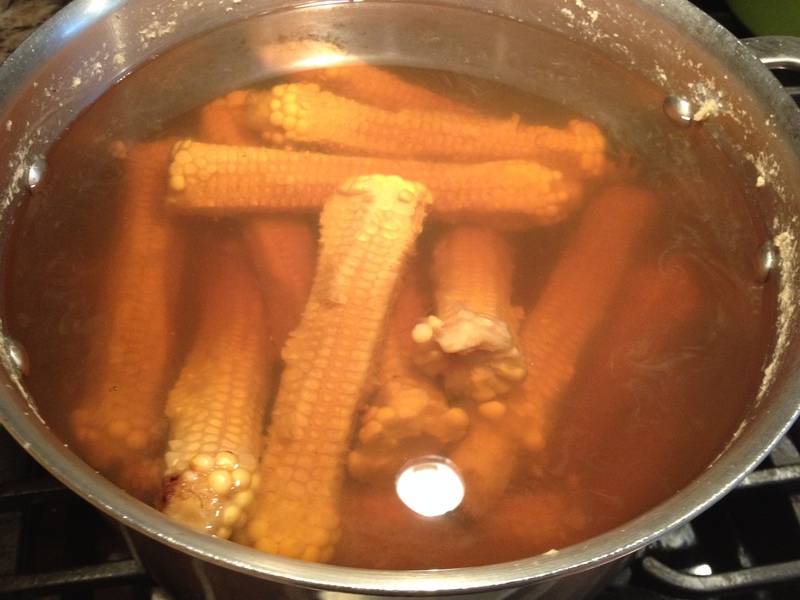 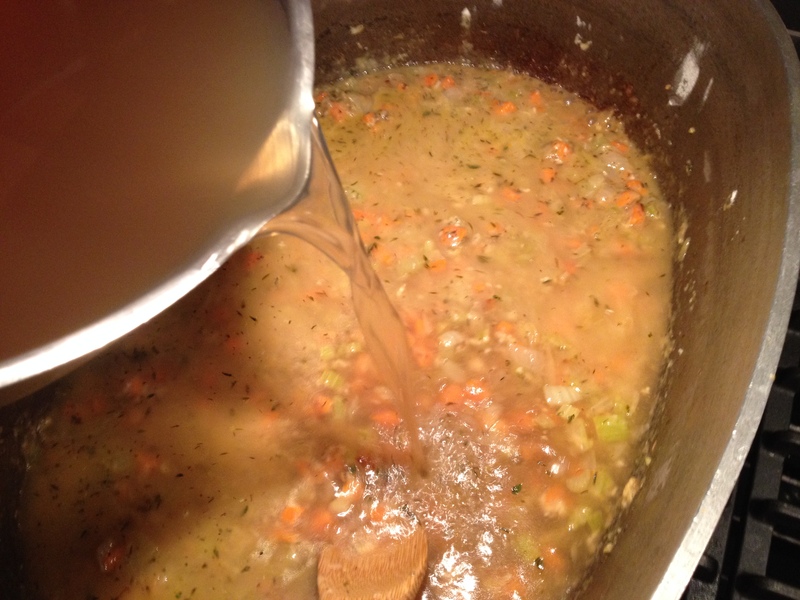 Add the better than bullion to the corn stock; to taste and pour the seasoned stock into the vegetables stirring to avoid lumps and bring to a boil. 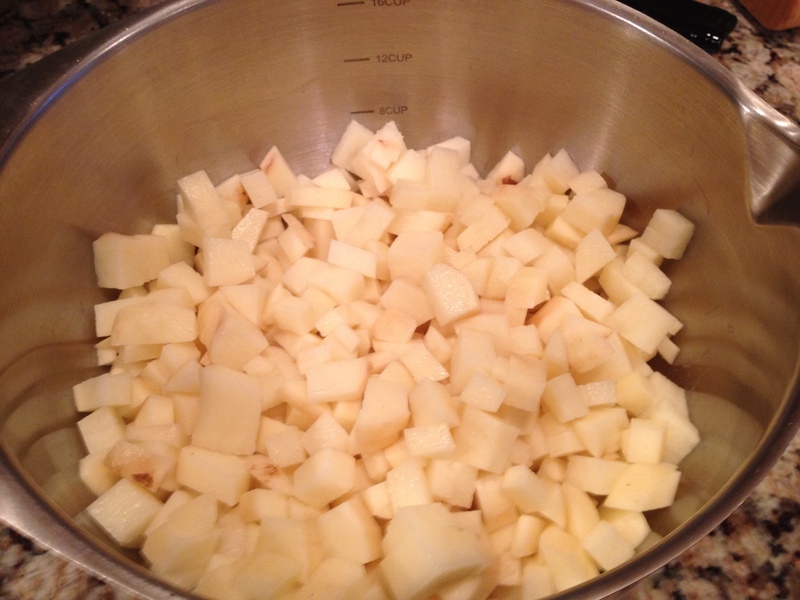 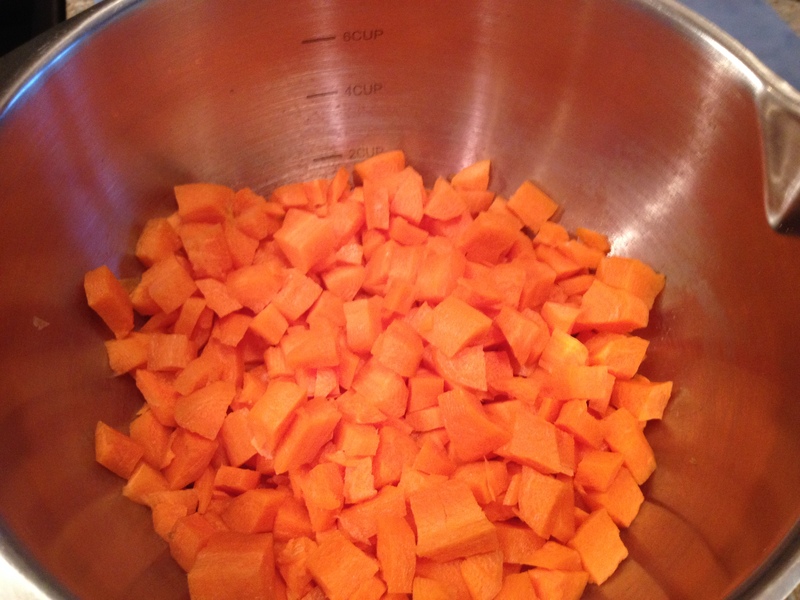 Add the cooked squash (if you have it on hand) and the potatoes; bring to a boil and boil hard for about eight to ten minutes, until the squash dissolves and the potatoes break down (this will help to thicken the soup and give it a good texture). 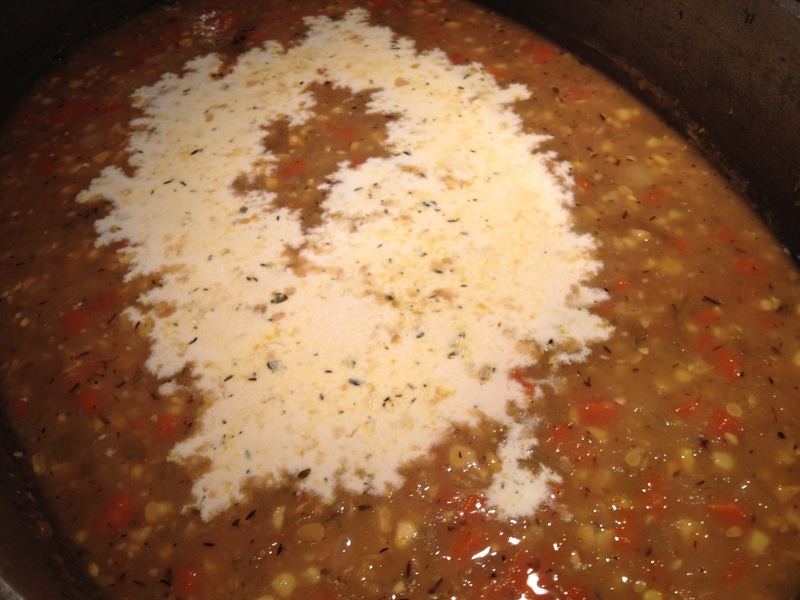 Add the cut kernels to the soup and stir in the half and half (or cream). 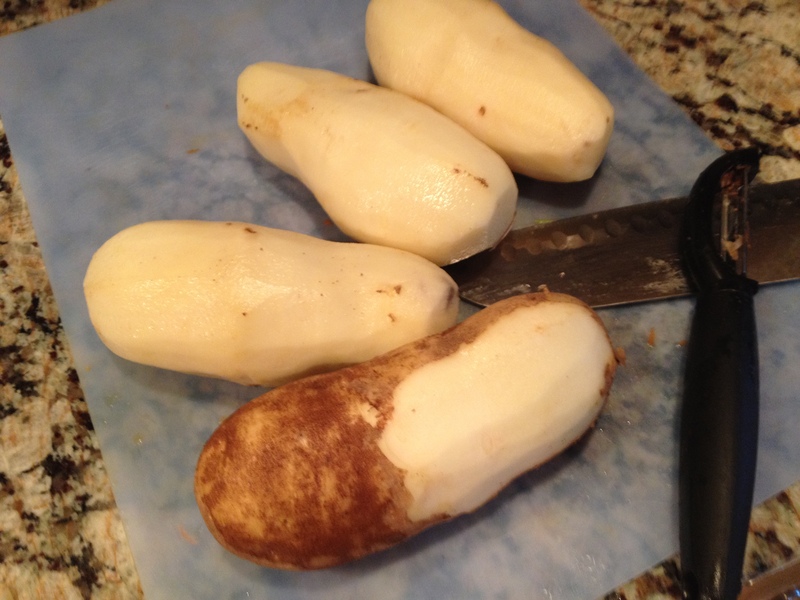 Season with salt and pepper; to taste. 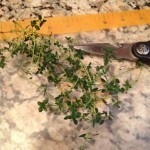 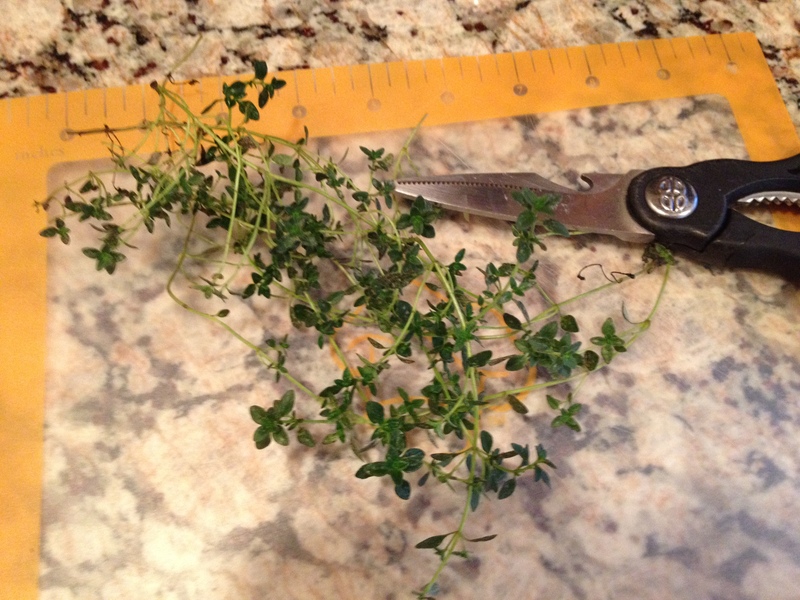 Garnish with chopped fresh flat leaf parsley, if desired.